Mireth Technology Corp. announced today a new release of ShredIt for Windows, its file shredder software for Windows computers. 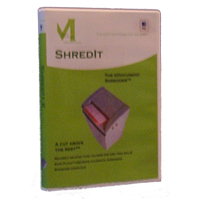 ShredIt for Windows version 5.1 is available as a software download or on CD-ROM, starting at $24.95 (US). 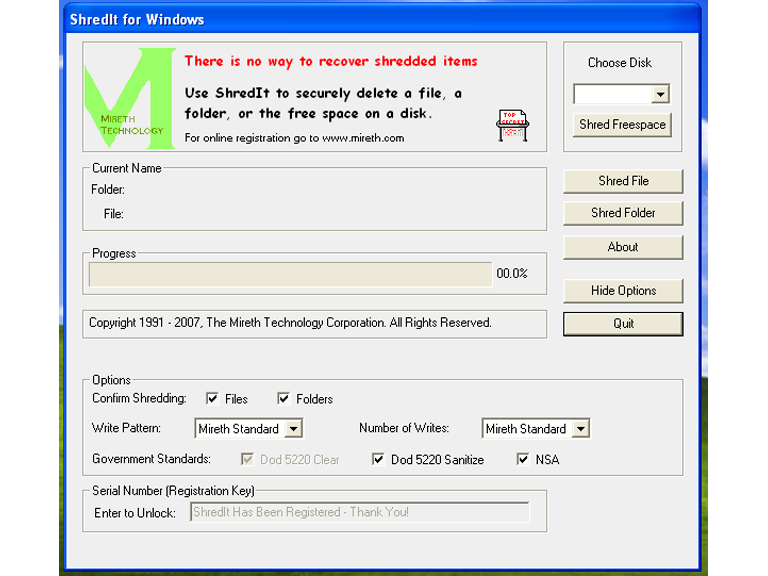 Mireth Technology Corp. has released version 5.1 of ShredIt for Windows, its simple to use file shredder and hard drive cleaner software for Windows computers. Version 5.1 adds support for Vista as well as enhancements to the user interface. ShredIt is the easy-to-use file shredder for Windows that erases data so it can't be recovered. It can be used to erase files, folders, disk free space, previously deleted files, hard drives, external drives and network drives. ShredIt for Windows comes with a wide range of features, including built in safety features along with advanced shredding features such as, government standards compliance and a configurable overwrite pattern.